Summarizing an entire generation is a tricky thing — especially for marketers grappling with this task. The same goes a thousandfold when it comes to developing a marketing strategy for your brand that can resonate with Gen Z — and still be true to your brand’s core values. Even so, it’s a journey worth taking. There’s a lot to be said for knowing the precise details of what Gen Z likes and doesn’t like about your own brand, and then strategizing around those details accordingly. Here are some important do and don’ts that can help you determine your own brand’s particular approach to Gen Z marketing. Invite Gen Z to collaborate with you. Brands shouldn’t approach Gen Z simply as their customers. After all, Gen Z wants to do a whole lot more than simply buy merchandise from you: They want to help you make it! In fact, Gen Z-focused companies should welcome, encourage and — yes — reward Gen Zers for participating in helping them build their brands. So by all means, invite Gen Z’s feedback. Encourage them to submit their own product and design ideas for your company (Who knows? You might even come to realize their ideas are better than your own!) Ask for their opinions on products and services you’re designing and whether they think those products and services would actually be useful or helpful to them — and whether they could still use a little more fine-tuning. Give them something to get excited about besides your products and services. Want to know what else gets Gen Z excited besides your brand? Two words (you guessed it): Their future. Gen Z are problem solvers, and that’s a really good thing. Because they face a long, long checklist of problems to brace for and solve in the near future, including the looming impact of climate change and the fast-approaching challenges of workforce automation. But here’s the good news: Your brand can actually help Gen Z meet challenges like these. How? By providing them with the tools, training and skill-sets needed to overcome these hurdles to their future. By offering demonstrably valuable things like career advice and internships, you’re showing Gen Z that you’re not simply here to sell them merchandise — you’re actually rooting for (and empowering) their future success as individuals. Stand for real-life social causes that matter to you and your Gen Z audience. Sure, that’s a big responsibility to weigh on your shoulders. But you can also think of it this way: Gen Z is placing a lot of trust in your helping them change their world and future for the better. That’s a major honor, so wear it with pride — and own up to your responsibility for making good things happen for them. That means if you see something in the world that goes against your brand values, call it out — and get Gen Zers to rally behind your callout. Why not use your brand as a platform to champion social causes that matter to them the most? Brands have all recently taken public stances on issues that other companies from other eras would have deemed too “controversial” to get involved in. But that was way back when. This is now. With Gen Z, the don'ts of yesterday become the new to-dos. Forget PR spin. 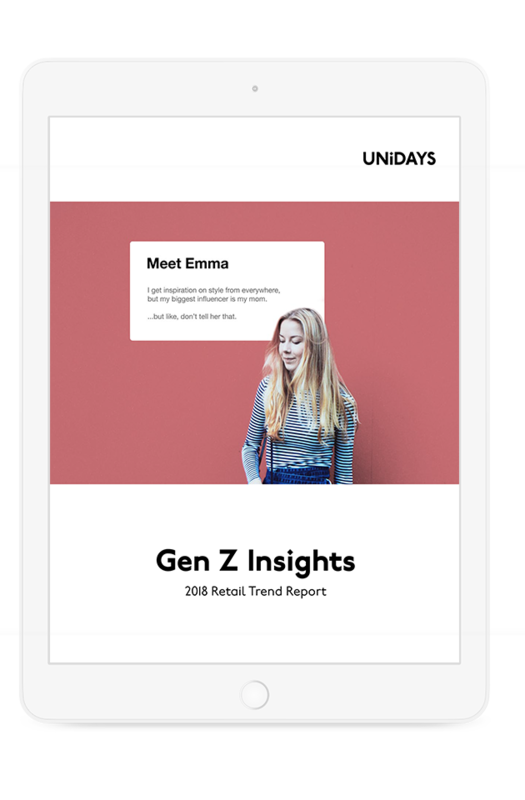 Listen to how Gen Z are spinning your brand already — and respond accordingly. With the rise of social media (and Gen Z’s absolute mastery of it), your brand is no longer exclusively in the hands of its own PR team. Like it or not, Gen Z is largely in the driver’s seat when it comes to determining what your brand means to them. Coming to them with the right ad at the right time isn’t enough anymore: The conversational street has to run both ways now. Brands ought to redouble their efforts at taking user feedback (both positive and negative) into account when developing Gen Z-related products and services for the coming sales quarter or year. What’s more, they should be brave enough to admit mistakes in public before those mistakes hit the news cycle, and earn the one-million angry-faced-emoji'd wrath of Gen Z consumers. The bottom line? For Gen Z, honesty is a show of authenticity — and authenticity's never something to be ashamed about. Be authentic, and do not bullsh*t them. This can be easy to say but more difficult to do, so it bears repeating: Don’t talk @ Gen Z with lingo, imagery, slogans and values that aren't 100 percent their own. If you try and do otherwise, and you’ll quickly find yourself becoming the next Kendall Jenner Pepsi meme... Yeah, you know which one. Practice these tips and you’ll be on the the right path towards personalizing your engagement with Gen Z. It isn’t an easy road for every brand to follow. But where Gen Z is concerned, it is a road to success.